The Halloween I grew up with in 1950s America was a happy, fun holiday. The Halloween I grew up with in the Bronx in the 1950s was a very kid-friendly holiday, that had apparently incorporated some of New York's old "Ragamuffin Day" traditions. In the late 19th and early 20th centuries, New York kids would dress as stereotypical "tramps" or "hobos," and these "ragamuffins" would receive apples or candy or even pennies from their neighbors on Thanksgiving Day, the custom that would later turn into Halloween "trick or treating." By the 1930s, however, there was a reaction against the practice. Perhaps the reality of the Depression, when there were far too many real beggars in America, made people uncomfortable with the custom. The City's Superintendent of Schools declared that "modernity is compatible with the custom of children to masquerade and annoy adults on Thanksgiving Day." Instead of begging for treats, costumed children participated in neighborhood parades, one of which had as its slogan "American boys do not beg." These parades themselves soon died out, however, as the much grander Macy's Thanksgiving Day Parade became city's the most prominent public Thanksgiving Day event. Children (and sometimes adults) dressing up and parading around in costumes has, of course, been around a long time and may well be universal. Variations on such customs can be found, for example, in pre-Lenten carnivals and the Jewish festival of Purim. 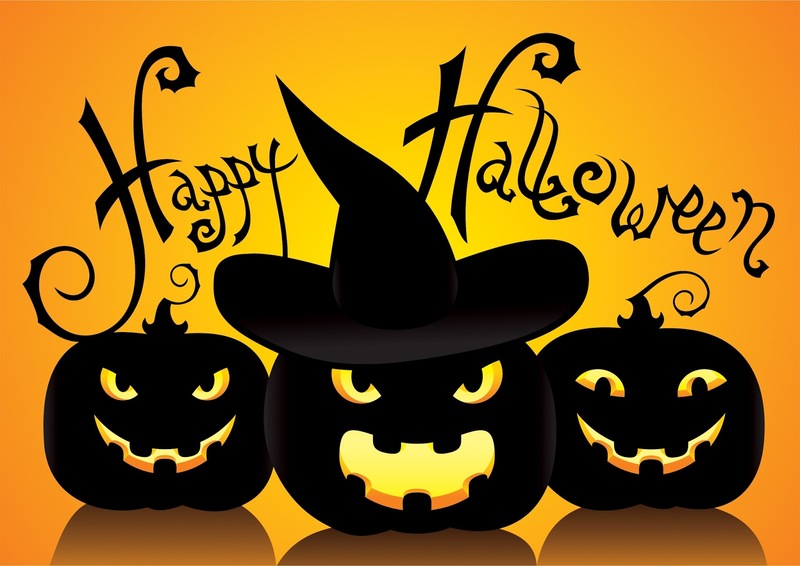 Given Halloween's ancient Celtic origins, I was not surprised to learn of masquerading's centuries-old association with Halloween in Britain and Ireland. Shakespeare famously referred to "a beggar at Hallowmas" in his play The Two Gentlemen of Verona. Such imported Halloween customs seem to have become very popular in the US in the early 20th century - just in time to displace New York's old "Ragamuffin" traditions. The Halloween that I grew up with featured costumes of all kinds, but the old tradition of dressing up - or rather down - as a "tramp" or "hobo" or "beggar" remained popular, and I can well remember going trick or treating so attired on several occasions. In those wonderful days, we went out in late afternoon after school and in early evening after dark. We rang doorbells in our apartment building and other nearby buildings and typically netted the traditional apples and candy and cash (no longer just pennies, but nickels and dimes and occasionally even a quarter!). It was fun, and it was safe, and no one ever imagined a day when parents would want to - or be expected to - accompany their children. It was a truly children's holiday. As I have suggested before, Halloween's peculiar evolution in recent decades into an adult celebration for adults as well as their children may be a perverse praise of that old children's holiday. Maybe because we "Baby Boomers" liked it so much as kids, we continued it into adulthood! But the point is that Halloween should remain fun! Adults can have Halloween parties if they want, but the focus should be on a happy and fun kids' holiday! Of course, I am conscious that Halloween has its serious side as well. Around the 8th century or so, All Saints Day was moved to November 1. (Previously it had been May 13, the anniversary of the rededication of the Roman Pantheon as a Christian Basilica in 609.) In relation to the older pagan festival on the previous day, All Saints celebrates the victory of Christ over the demons and of God's grace over sin (as manifested in the lives of the saints) and, in an historical sense, the triumph of Christianity over paganism. Halloween's contemporary prominence sadly seems, at least in certain circles, to symbolize the reverse - a revival of paganism and its attempt to subvert Christian faith in the modern world. These are important concerns. But they need not prevent us from enjoying the Halloween holiday our history has created for our younger generations to enjoy. Last week, we heard a parable about a tax collector. In today’s gospel, we get to meet the real thing – in the person of Zacchaeus, who was not just any old tax collector, but a chief tax collector and also a wealthy man. Those extra details, being a chief tax collector and also a wealthy man, presumably were mentioned to make him seem even less likable, just as his being short in stature, and his undignified behavior in running ahead and climbing a tree presumably were mentioned to highlight his apparent ridiculousness. But even without any extra details, just knowing nothing else about Zacchaeus besides his being a tax collector, Jesus’ audience would certainly assume that he was a sinner. After all, as a tax collector he worked either directly for the Romans or for their client King Herod. But God had given the land of Israel as a permanent promise with his people forever. So to collaborate with the Romans would have seemed self-evidently sinful. Everyone would have understood that. Sinner or not, Zacchaeus was seeking to see who Jesus was. Just what Jesus meant to him at that stage we have no way of guessing. People have probably always wanted to see celebrities. And Jesus, with his reputation already well established as a successful healer and exorcist, was certainly a celebrity – probably the biggest attraction to hit Jericho in a long time! Zacchaeus, seeking to see who Jesus was, may have had no more than just a natural curiosity – just as any of us at any particular time may have nay number of natural human motives for coming to church. But, whatever our motives, at least we are here. And so it was with Zachaeus. Whatever his motives for seeking to see who Jesus was, at least they got him there. And then Jesus himself took over: "Zacchaeus, come down quickly, for today I must stay at your house." Jesus didn’t mull over Zaccaheus’ motives, and he didn’t wait for a proper invitation. He took advantage of the situation and boldy invited himself to Zacchaeus’ house – as he continues now boldly to invite himself into our lives in this house of his Church today. Traditionally, this gospel was read at the Mass for the dedication of a church – a usage suggested, I suppose, by Jesus’ words: "Today salvation has come to this house." For that indeed is the purpose of a church – why churches are such special places, why we build them, why we dedicate them, and above all why we attend them. And salvation did come to Zacchaeus’ house that day, when in response to Jesus’ initiative, Zacchaeus received him with joy, boldly turning his own life around and demonstrating in the process both the genuineness of his conversion and also how serious a matter it really is to become a follower of Jesus: "behold, half of my possessions, Lord, I shall give to the poor, and if I have extorted anything from anyone I shall repay it four times over." Today – and everyday – salvation comes to this house also, this church, to which we come in order to see Jesus, and within which (however imperfect or mixed our motives may sometimes be) Jesus boldly invites himself to stay with us. Here, we too can experience the real change Zacchaeus experienced – doing what we would never otherwise have done, becoming what we would never otherwise have become, a community of forgiven sinners changed by our faith in the One who reveals God’s mercy by inviting himself to stay with us here in this house today. 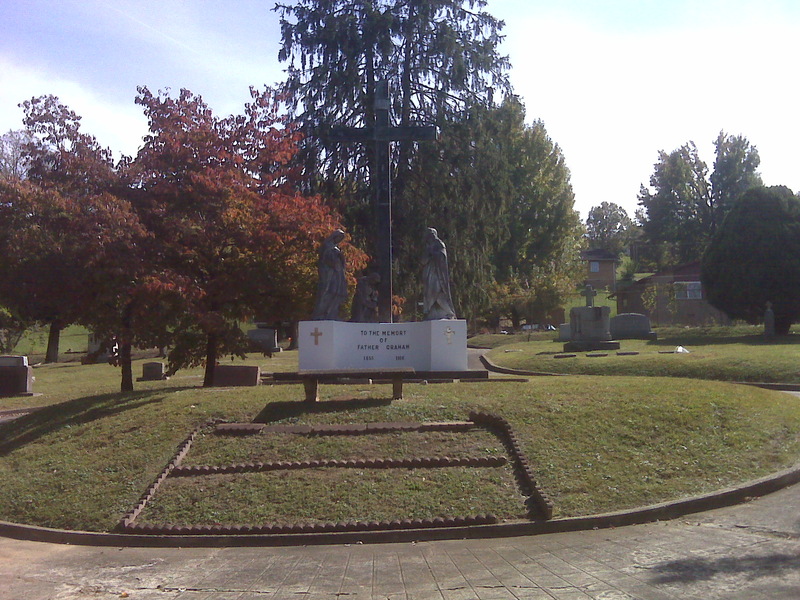 Homily for the 31st Sunday in Ordinary Time, Immaculate Conception Church, Knoxville, TN, October 30, 1016. 21 years ago today, in a modest but memorable ceremony at Saint Peter's Church in downtown Toronto, Canada, I was ordained a priest. I give thanks for that happy day and for all who helped me to reach it - and also for all I have been blessed to serve with or minister to in the 21 years since. It is no longer the case anymore, of course; but, when I was growing up, 21 was the age of adulthood. In those days you could already drink at 18, but you couldn't vote until 21. Accordingly, I observed my 21st birthday by registering to vote for the first time. I guess that was a pretty nerdy way to celebrate coming of age, but that was what I did! Of course, there is no comparable "coming of age" as a priest. If anything, ordination itself is more like a "coming of age," the culmination of a lifetime of remote preparation as one member of Christ's body, the Church, and of several special years of proximate preparation (14 years in my case - 5 as novice and seminarian and 9 as a deacon). And, like legal age, the change is abrupt. One day you are not. Then the next day you are, and what started on ordination day then continues more or less uninterrupted to life's end. I had the privilege of being ordained a priest very appropriately on the feast of Saint Jude, the Apostle who is the patron saint of desperate cases and lost causes. The Epistle which bears his name identifies him as a brother of James, and some family connection with Jesus is likewise often ascribed to him. There is even a 14th-century tradition that identifies him with the bridegroom at the wedding which Jesus, his family, and his disciples attended at Cana in Galilee! Jude is thought to have been martyred in Beirut in the mid-60s along with the Apostle Simon the Zealot, and the relics of both of them are purported to rest under Saint Joseph's altar in the left transept of Saint Peter's in Rome. But Saint Jude is most famously and appealingly invoked as the patron of desperate cases and lost causes. Rightly do we venerate and invoke Saint Jude because of the widespread desperation so many people personally experience in our world and the deep sense of loss that seems to pervade so much of our contemporary culture. It is therefore a holy and wholesome thought to pray for the dead, that they may be loosed from sins (2 Maccabees 12:46). In our Catholic tradition, this time of year is focused in a particular way on the end, and the month of November is dedicated in a special way to remembering and praying for those who have died. Faith challenges us both to treat all of life as a preparation for a good death and not to neglect our duty to pray for those who have gone before us. Hence, the importance of celebrating a proper Catholic funeral - an especially privileged moment when the entire Church visibly intercedes on behalf on the recently deceased. (Sadly one study I read recently suggested that only about 66% of US Catholics who have died in recent years have had a full Catholic funeral.) But especially in this Holy Year of Mercy, we have been reminded that praying for both the living and the dead is one of the seven spiritual works of mercy, while burying the dead counts as one of the seven corporal works of mercy. Following the most ancient Christian tradition, the Church insistently recommends that the bodies of the deceased be buried in cemeteries or other sacred places. Finally, the burial of the faithful departed in cemeteries or other sacred places encourages family members and the whole Christian community to pray for and remember the dead, while at the same time fostering the veneration of martyrs and saints. In circumstances when cremation is chosen because of sanitary, economic or social considerations, this choice must never violate the explicitly-stated or the reasonably inferable wishes of the deceased faithful. The Church raises no doctrinal objections to this practice, since cremation of the deceased’s body does not affect his or her soul, nor does it prevent God, in his omnipotence, from raising up the deceased body to new life. Thus cremation, in and of itself, objectively negates neither the Christian doctrine of the soul’s immortality nor that of the resurrection of the body. the conservation of the ashes of the departed in a domestic residence is not permitted. … the ashes may not be divided among various family members and due respect must be maintained regarding the circumstances of such a conservation. In order that every appearance of pantheism, naturalism or nihilism be avoided, it is not permitted to scatter the ashes of the faithful departed in the air, on land, at sea or in some other way, nor may they be preserved in mementos, pieces of jewelry or other objects. These courses of action cannot be legitimized by an appeal to the sanitary, social, or economic motives that may have occasioned the choice of cremation. When the deceased notoriously has requested cremation and the scattering of their ashes for reasons contrary to the Christian faith, a Christian funeral must be denied to that person according to the norms of the law. This represents a timely restatement of what, not too long ago, would have been the common Christian understanding, but now needs apparently to be restated due to our culture's increasing acceptance of secular and neo-pagan, post-Christan beliefs and practices about death - beliefs and practices which are dangerously infecting attitudes even within faithful Christian communities..
Today through Thursday, I will be on retreat with my brother priests of the Diocese of Knoxville. 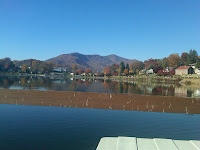 Every year at this time,we all assemble across the North Carolina state line at Lake Junaluska, a Methodist conference and retreat center in the Great Smoky Mountains. 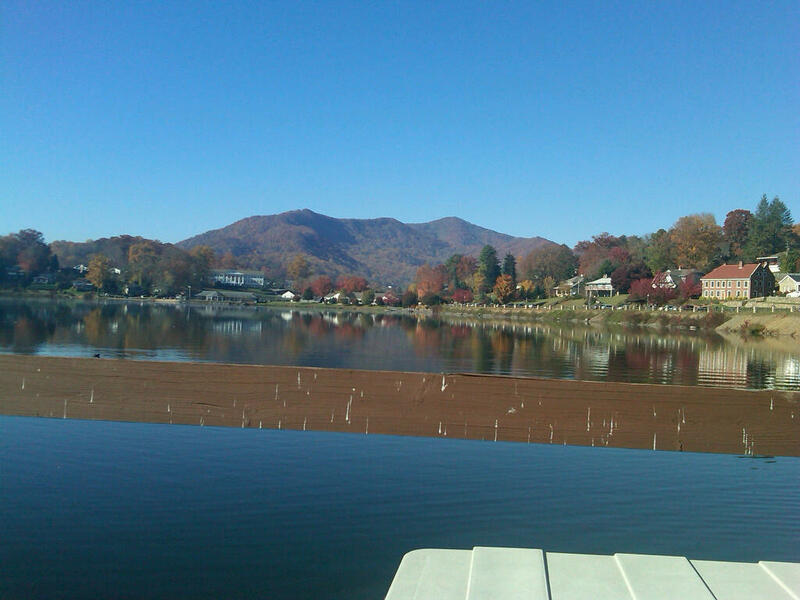 This will be my seventh retreat with the Knoxville presbyterate and our sixth at Lake Junaluska. It is an event I look forward to every year, especially since retreat week usually coincides more or less with my ordination anniversary on October 28. The topic of this year's retreat conferences will be "St.Luke's Portrait of Jesus: A Model of Mercy and Compassion." Two people went up to the temple area to pray; one was a Pharisee and the other was a tax collector. So begins one of Jesus’ most familiar parables [Luke 18:9-14]. For many, perhaps, the point of the parable may be missed due to a negative and caricatured image of the Pharisees, reinforced by centuries of anti-Semitism and contempt for Judaism. In Jesus’ time, the Pharisees were a deeply devout movement of lay people, preoccupied with being holy and fulfilling God’s Law. They were probably among the most religiously observant and morally upstanding people in 1st-century Israel. After the destruction of the Temple in 70 AD, it was the Pharisees who rebuilt Jewish life and reconstituted it in its post-biblical form (what we now call Orthodox Judaism). In effect, the Pharisees (and their followers) and those who became known as Christians (and their followers) were the two strains of Judaism that survived the Temple’s destruction. So they inevitably saw each other as rivals – one reason why the New Testament tends to highlight stories of Jesus’ conflicts with the Pharisees. But the New Testament also preserves the memory of good relations Jesus had with various Pharisees and some important beliefs that they shared in common. In any case, we can only appreciate the parable if we understand that the Pharisee is the presumptively good person in the story – a good, religiously and morally upstanding person. Only then will we appreciate the surprise at the end. Presumably, he was telling the truth. The parable would make no sense if he were a phony, a hypocrite, who didn’t live the way he said he did. No, the whole point is precisely that he is a religiously and morally upstanding person, who faithfully and dutifully obeys God’s law. Indeed, he does even more than the minimum the Law requires. So, if anyone were going to go home justified, shouldn’t it be the Pharisee? But God had long been in the habit of being merciful – all the way back to when, instead of ending their lives after their sin, God instead made clothes for Adam and Eve. So, as surely everyone would have understood, if the tax collector were truly sorry for his sins, God might indeed be merciful even to him, and he too might go home justified. That would have made a nice, happen ending to the parable. The shocker was not that God’s mercy might extend even to the tax collector and that he also could go home justified. The surprise was that the Pharisee – in spite of all the honest good that he was doing – did not! In acknowledging his sin, the tax collector acknowledged that only God could get him out of the hole he had hopelessly dug for himself. But the Pharisee, Jesus tells us, spoke his prayer to himself. For all his moral correctness, even as he prayed he remained focused on himself – as if he, on his own, were the source of his good works, as if being justified in relation to God could ever be his own accomplishment. If only the Pharisee had heard that and taken those words to heart! Then he might have understood – as the tax collector, whatever his other faults, evidently did – that God didn’t owe him anything. The kingdom of God is not about what I have accomplished. In fact, it’s not about me at all. It’s about God and about experiencing God’s great mercy God in my life, and so allowing myself to be changed by that experience of God’s mercy here and now, so as to continue to experience God’s mercy in his kingdom for all eternity. Homily for the 30th Sunday in Ordinary Time, Immaculate Conception Church, Knoxville, TN, October 23, 2016. At least in theory, I am not a fan of "Early Voting." I've already expressed my reservations on this blog before - mainly because I still like the symbolism of the entire country acting together, voting on the same day in a common civic performance. The restriction of early voting in some jurisdictions in the interest of partisan voter suppression, however, has cause me to re-evaluate my view. 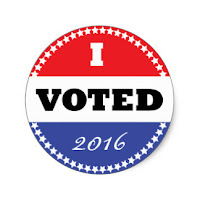 Anyway, as in past years, convenience has taken precedence for me, and so I too have voted early again this year. Aside from symbolic and other such considerations, in a situation where most people have long since decided how to vote, there may seem to be little reason to wait until the Tuesday after the first Monday in November. 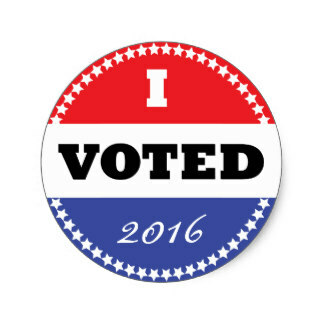 And, in a year when many are already tired of an election campaign that has gone on too long and has been less than edifying, it may feel good to put it all behind by voting early. For a tired and discomforted electorate, it also invites us to start to imagine American national life after November 8. The pundits are having a field day with Donald Trump's performance at last night's Al Smith Dinner and with how his awkward performance earned him some boos One would think that a wealthy, white, native New Yorker would be able to find at least some common ground with that august audience of New York's "haves and have mores." And he did start out well enough. I am not sure if his joke about his wife really qualifies as the self-deprecating humor such an event expects, but it was funny and seemed to work . But then there were those darker moments that generated the boos and other signs of awkward discomfort on the dais. And it was encouraging to see that the audience's strongly negative reaction to one of Trump's deservedly worst received lines was when he said "Here she is, in public, pretending not to hate Catholics." That was an allusion presumably to the Wikileaks' hacked emails of some Clinton staffers that revealed - big surprise - that liberal and conservative Catholics have different political perspectives! Hillary herself, in a bright Ralph Lauren gown, gave a good talk, which included references to Al Smith himself and the anti-Catholic, anti-immigrant prejudice his campaign for the presidency elicited in 1928. Reprising JFK's famous Al Smith Dinner comment about Nixon and Rockefeller, she referenced Governor Cuomo and Mayor DeBlasio, who obligingly shook hands. Former Mayor Michael Bloomberg probably liked being identified as a "real billionaire." Former Mayor Giuliani just snarled, but whether that was because of anything Hillary actually said or whether he was just being himself, who knows? And, as always, Cardinal Dolan ended the evening with an appropriate and edifying reminder of what this is all supposed to be about, and what we as Church are supposed to be about. As a New Yorker myself, I found myself comparing Trump the native New Yorker and Hillary the adopted New Yorker. If one did not know which was which, one might reverse them. She, the adopted New Yorker, showed herself much more familiar with and comfortable with both New York's social and cultural elite and with New York's deeply rooted and engaged Catholic culture than he the native. Some wonder whether this quadrennial tradition has outlived its usefulness. If so, that would be yet another sign of the decline of our ability to come together in a bi-partisan way to create and celebrate an authentic experience of civility and community (while raising $6 million for Catholic Charities). So let us hope it continues! 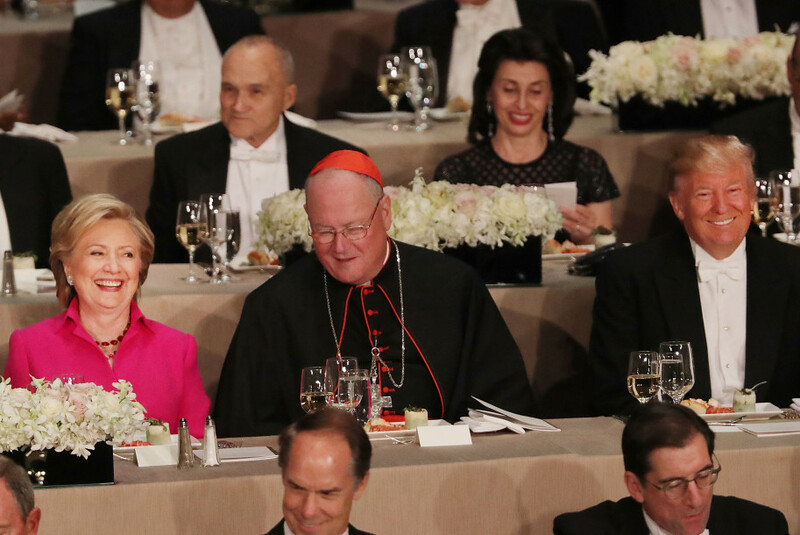 Tonight, New York's Timothy Cardinal Dolan will host the annual Alfred E. Smith Memorial Foundation Dinner, a grand fundraiser for Catholic Charities held every year since 1945 on the third Thursday in October. With one exception, every President since Eisenhower has spoken at the Al Smith Dinner. And, since 1960, it has often featured a joint appearance by the two major-party presidential candidates. As such it has become a hallowed tradition for both Church and State and an expression of the bi-partisan civility and mutual respect which a successful democracy requires. Kennedy and Nixon started the tradition of attending together in 1960 (photo). Since then, the dinner has featured Carter and Ford in 1976, Carter and Reagan in 1980, Dukakis and Bush in 1988, Gore and Bush in 2000, Obama and McCain in 2008, and Obama and Romney in 2012, all of whom gave humorous speeches.. In 2000, for example, George W. Bush famously said, "This is an impressive crowd. The haves and the have-mores." Looking at the photograph of Kennedy and Nixon flanking Francis Cardinal Spellman at the 1960 dinner, one can only lament the deterioration of American political culture in the intervening decades. Tonight, Cardinal Dolan and a ballroom full of "the haves and the have-mores" will host this year's two candidates - one day after the last of three "debates" that have dramatically exemplified the opposite of that bi-partisan civility and mutual respect which a successful democracy requires. All the more reason, therefore, to thank Cardinal Dolan for continuing this fine Catholic and civic tradition! One would only wish that more comparably prominent religious figures would emulate his expansive approach. The humor expected of the candidates' remarks at the Al Smith Dinner is in service of a larger good - humor being one way we lower tension and find common ground. But humor need not preclude seriousness about the issues at stake, nor need seriousness about the issues at stake inspire incivility. In this Senator John F. Kennedy's both humorous and serious comments as a candidate at the 1960 Al Smith Dinner are instructive. It was a short speech, but I recommend it. From its inception, the Jesuit order had a strong missionary impulse, and in 1625 the Jesuits initiated their first mission to New France. The Jesuit missionaries inspired Jogues, and, soon after his ordination in January 1636, he sailed to New France with several other missionaries. Arriving in Quebec on July 2, he wrote to his mother: “I do not know it is to enter Heaven, but this I know-- that it would be difficult to experience in this world a joy more excessive and more overflowing than I felt in setting foot in the New World, and celebrating my first Mass on the day of Visitation." After several years serving among the Huron Indians, he was captured and tortured by Mohawks in 1643. According to the The Jesuit Relations, during his captivity Jogues had a vision: in which he bought a book that reminded him that to enter into heaven it would be necessary for him to experience many tribulations. His captivity dragged on until a party of Dutch traders from Fort Orange (now Albany, New York) ransomed him and paid for his passage down the Hudson to New Amsterdam (now New York City) en route to France. Jogues was thus the first Catholic priest ever to visit Manhattan. He returned to New France in 1644. But, on October 18, 1646, the Iroquois killed him with a tomahawk. He and the seven other North American Martyrs were canonized on June 29, 1930. they are venerated together in Canada on September 26 and in the United States on October 19. 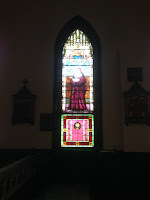 When I was stationed in Toronto, I used to like to visit the Jesuit Martyrs Shrine in Midland, Ontario, and the nearby reconstructed site of Sainte Marie Among the Hurons near Georgian Bay. In its time that was the farthest west any Europeans had travelled in America north of Mexico and is a vivid reminder - despite the Mission's short-term failure - of the necessarily longer view which it behooves any missionary - and a missionary Church - to cultivate. 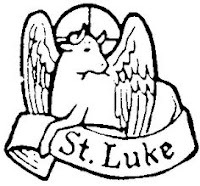 Today the Church celebrates the Evangelist Saint Luke, author of the gospel that has been given his name and of the Acts of the Apostles (the Gospel of Luke's second volume, so to speak, which continues the story through the early years of the Apostolic Church and its expansion from Jerusalem to Rome). Thirty-plus years ago, I was told - based on a personality test that was highly fashionable at that time - that my favorite Gospel should be Luke. And so in fact it is! Of course, I value and venerate all four gospels, but if I were to pick a personal favorite it would indeed be Luke. According to tradition, Luke was a physician, possibly also an artist, who wrote in the manner of an historian. Old age and the infirmities that accompany it have caused me to come to know many doctors, and I have to say that most of them are eminently good people. But the medical profession per se has never been one to which I felt particularly attracted. I do sort of admire artists, but mainly for possessing and successfully using talents which I lack. I don't otherwise identify with artists, and I am for the most part uninterested in contemporary art. Historians, on the other hand, I feel very attracted to - perhaps because I have read and loved history since my childhood and have felt liberated by it in the face of a less than perfect present. Of course, more important than any of those markers is the fact that Luke was - most likely - a Gentile. Hence his intense interest in the mission to the Gentiles and in evangelization broadly speaking. That is what gives his Gospel - and Acts maybe even more so - their excitingly expansive feel. All four Gospels proclaim good news, of course. In addition, Matthew importantly highlights the Church, and Mark highlights the demands of discipleship. But I especially like how Luke highlights how that good news - of healing and salvation - is for all and can change the world. Not for nothing was a popular 1990s children's book about the Acts of the Apostles attractively titled Good News Travels Fast. Luke's gospel ends with Jesus' disciples continually in the Temple blessing God, and Acts ends with Paul in rome welcoming all, proclaiming the Kingdom, and teaching about Jesus with boldness. Happy endings both! As a boy, I liked to look at the big "Family Bible" my parents owned. I especially liked the illustrations, which were all in the style of Catholic art popular at that time in bibles, missals, and prayerbooks of various sorts. One of them that I particularly liked (not the one pictured here but similar), depicted the scene recounted in the Old Testament reading at yesterday's Sunday Mass. That was Exodus 17:8-11, which recalled how Moses held his hands aloft, raised up in prayer, while Joshua engaged the Amalekites in battle. As long as Moses kept his hands raised up, Israel had the better of the fight, but when he let his hands rest, Amalek had the better of the fight. In the context of the Sunday liturgy, where we are encouraged to take our interpretive cue from the Gospel reading (Luke 18:1-8, the parable about the unjust judge), the story is intended to highlight the importance of perseverance in prayer, a theme well worth a preacher's attention to be sure. But the illustration in my parents' bible (a typical picture of bearded hunky guys in exotic clothes with transcendently expressive expressions that was then the style) highlighted for me the story's larger lesson, which was always about more than mere perseverance. 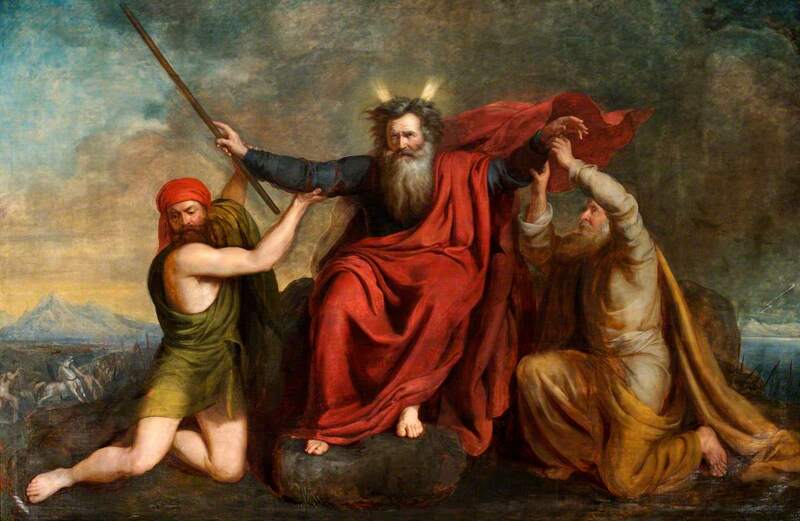 Moses' hands, however, grew tired; so they put a rock in place for him to sit on. Meanwhile Aaron and Hur supported his hands, one on one side and one on the other, so that his hands remained steady until sunset. If ever there were a classic It Takes a Village story, this would be one of them! Joshua can't win the battle without Moses' prayers, and Moses' can't keep his hands raised up in prayer without help from Aaron and Hur. It is about perseverance in prayer, certainly, but about perseverance together, about the help we give and receive in our mutual dependence upon one another in a community of faith. But how descriptive that is of all human reality - how we live our lives as well as save our souls - the human reality in which we never get where we need to get on our own, but rather advance together in community! This reality is relevant in all aspects of our lives, despite contrary tendencies that have increasingly predominated in our fractured world - ever since the Reformation replaced the priestly and sacramental mediation of the Church's communion of saints with the isolated individual pilgrim's progress through life, an image since secularized by modernity's corrosive approach to social and political order. In a recent Statement on Civic Participation and the 2016 Election, the Paulist Fathers highlighted the classic Catholic conceptions of solidarity and the common good and their relevance for repairing our divided and polarized world. As it has developed over the centuries, Catholic social teaching has highlighted several fundamental moral principles that constitute its very heart and are all critical for our political life. Among these constant principles are the principles of solidarity and the common good, which - without excluding any of the other fundamental moral principles of the Church’s social teaching - seem especially relevant right now in the context of our contemporary national and international circumstances and the corresponding issues that arise in our current political debates. 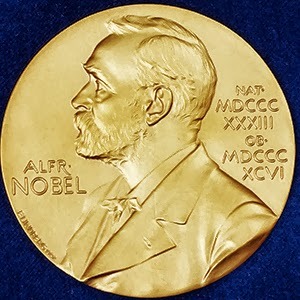 We are quite used to the idea that the Nobel Peace Prize occasionally goes to politicians who, whatever their good intentions, have in fact failed to produce peace (e.g., Woodrow Wilson in 1919, Barack Obama in 2009, and Colombian President Juan Manuel Santos this year). So my pre-programmed response to the 2016 Nobel Peace Prize is just a largely disinterested shrug. But awarding the Nobel Prize for Literature to Bob Dylan definitely got my attention! Yes, Mr. Dylan is a brilliant lyricist. ... But Mr. Dylan’s writing is inseparable from his music. He is great because he is a great musician, and when the Nobel committee gives the literature prize to a musician, it misses the opportunity to honor a writer. My immediate reaction would be to dismiss that as the typical strategy of any guild to restrict its membership. Poetry pre-dates novels not by centuries but by millennia, and almost certainly much of the ancient poetry we now study as literature originated as song. So what's her point? As reading declines around the world, literary prizes are more important than ever. A big prize means a jump in sales and readership even for a well-known writer. But more than that, awarding the Nobel to a novelist or a poet is a way of affirming that fiction and poetry still matter, that they are crucial human endeavors worthy of international recognition. Popular music is such an endeavor too, but, for the most part, it already receives the recognition it deserves. ... Bob Dylan does not need a Nobel Prize in Literature, but literature needs a Nobel Prize. She is correct, of course, that reading as a meaningful human activity is threatened by our contemporary lifestyle and that literary prizes provide an important affirmation of writing, whereas popular music is already richly recognized and rewarded in our society. Perhaps the optimal solution would be to create multiple prizes for different categories of literature - including specifically categories of great contemporary significance, such as musical lyrics and theatrical screenplays. Of course, that undoubtedly would cause continued controversies about which new categories to add! All that having been said, I believe Bob Dylan is a great musician and "author" and is eminently deserving of the Nobel Prize. Of course, many other authors of what we more conventionally have come to regard as "literature" may also deserve a prize. But just one gets to win. Needless to say, I come at this as an aging "Baby Boomer," with the inevitable prejudice of my generation for its distinctive music. In the 1960s many of us young "Boomers" lived very modestly on meager resources, but were willing to spend on a good stereo, which we recognized as a necessary means to share in the music which -- more than politics - came closest to defining and unifying our generation. In honoring Bob Dylan, the Nobel Committee is also acknowledging the historical and social significance of my generation's musical odyssey. And that too deserves recognition. Writing late in his life about the contributions of women in the life of the Church, Servant of God Isaac Hecker (1819-1888) said of Saint Teresa of Avila (1515-1582, canonized 1622), whose feast the Church celebrates today: "St. Teresa is represented as an authorized teacher, with a pen in hand, and with a doctor’s cap" (The Church and the Age, 1887). Doctor's "cap" or not, no woman had ever been declared a Doctor of the Church in Hecker's time. Nor, for that matter, had any martyr - then or now. Martyrdom is, of course, the ultimate and highest form of witness. So such great ancient teachers of the faith as Saint Irenaeus of Lyons, Saint Ignatius of Antioch, and Saint Cyprian of Carthage are honored and liturgically celebrated exclusively as martyrs. But the case of a woman as Doctor was different - or, at any rate, has been treated differently. And so, on September 27,1970, Blessed Pope Paul VI declared Saint Teresa a Doctor of the Church, the first woman saint to receive that title. A week later, he did the same for Saint Catherine of Siena. Then, in 1997, Pope Saint John Paul II declared Saint Therese of Lisieux a Doctor of the Church. Finally, on October 7, 2012, at a ceremony at which I was privileged to be present, Pope Benedict XVI added Saint Hildegard of Bingen to the Church's roster of Doctors. This continued declaration of saints as Doctors is a good sign - and not just because of the belated inclusion of women as Doctors. (At the same ceremony at which he made Hildegard of Bingen a Doctor, Pope Benedict XVI also so designated Saint John of Avila. And Pope Francis in 2015 added Saint Gregory of Narek to the list of the Church's Doctors.) In an era in which religion has widely become largely about sentimentality and therapy, the continued proclamation of Doctors of the Church attests to a recognition that religion must be about truth and our understanding of and appropriation of truth in our lives. Since the liturgical recognition of the four great Latin Doctors in 1298, the presence of officially designated Doctors among the company of saints on the Church's calendar has attested to this reality. May the Church long continue to raise up scholars and teachers of the truth and so keep adding to her 36 Doctors of the Church! 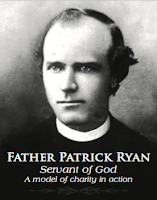 Recently, the Diocese of Knoxville initiated the Cause for the canonization of Servant of God, Father Patrick Ryan of Chattanooga. This will be the first sainthood cause in the history of the Louisville Province (the seven dioceses of Kentucky and Tennessee). Born in Tipperary, Ireland, in 1845, Father Ryan served as pastor of Saints Peter and Paul parish (now a Basilica) in Chattanooga from 1872 to 1878 and was instrumental in founding Notre Dame High School in 1876. In September 1878, a yellow fever epidemic broke out in Chattanooga, in which 366 locals died. Four-fifths of the population fled from the city, but Father Ryan remained “going from house to house in the worst-infected section of the city to find what he could do for the sick and needy.” He himself became ill on September 26 and died on September 28. In 1886 when his body was transferred to the new Mount Olivet Cemetery, the city turned out in force to honor his memory. The funeral procession included more than 100 carriages. Let us pray for the sainthood Cause of this heroic priest! Heavenly Father, who inspired the Servant of God, Father Patrick Ryan, former pastor of Saints Peter and Paul Parish in Chattanooga, to be a model of charity in action during the yellow fever epidemic of 1878, grant, we beseech You, that this heroic charity be recognized by your Church, and that he be elevated to the full honor of sainthood. May we, too, be inspired by his example to that same measure of charity toward all our brothers and sisters in need. We ask this in the name of Jesus Christ, Your Son, who lives and reigns with You in the unity of the Holy Spirit, one God forever and ever. Amen. Back when I was a student, some of my more creative colleagues acted out this gospel story [Luke 17:11-19], changing the 10 lepers to 10 “leapers” - and hopping around the sanctuary accordingly. I remember the occasion, but not the point. And I confess that ever since then it has sometimes been somewhat difficult for me as a preacher to approach this story with the seriousness Luke intended and which it undoubtedly deserves! But sickness is certainly serious. Diseases scare people. You don’t have to be a hypochondriac to be unnerved whenever some new plague presents itself. I was a boy back at the time of the last big polio epidemic in the U.S. in the 1950s, and I can remember how frightened people were by a dangerous disease, against which they felt so defenseless. I remember the panic in the 1980s when HIV/AIDS was killing thousands of people. More recently, we’ve seen epidemics of viral hemorrhagic fevers like Ebola. And now we see the scary Zika virus practically around the corner. Having experienced all this in our own time, we should easily understand how frightened and threatened ancient peoples felt, faced with the mysterious illness they called leprosy. Those afflicted with it were often legally segregated outside cities and towns (as was done in 19th-century Hawaii). Indeed, the sick are often seen as a threat – or at least a source of discomfort – to be avoided by those who think of themselves as healthy and normal. In actual fact, what the ancients called “leprosy” was often a curable skin condition – hence the Law’s provision of a procedure for examination by the priests, But until one had been examined and certified as cured, the leper was considered impure and unclean. Cut off from normal social life, the lot of the leper was a hard one - until suddenly into all this misery moved Jesus, for whom the fact that the sick were shunned and despised did not detract from their significance in his sight. All the lepers said was, “Jesus, Master! Have pity on us!” The sick don’t need to say much. They can communicate quite effectively just by being who they are. Desperation often makes for hope. So, when commanded to go and show themselves to the priests, they went immediately. And, suddenly, they were cleansed - whereupon one of them, realizing what had happened, returned to thank Jesus. Presumably, the other nine went on to Jerusalem to show themselves to the priests as Jesus had directed them to do. But this 10th leper was a Samaritan. As misfortune often does, disease had brought together people who would not normally have associated with each other. Once they had been healed, however, once the barrier that united them by separating them from the society of the healthy had been breached, then all the normal social barriers reappeared. Presumably, the Samaritan could have found himself a Samaritan priest in Samaria. It is quite likely he did that anyway when he finally returned home. Once healed, however, something special had happened to him, something so special it changed his whole outlook. He returned, glorifying God in a loud voice, fell at the feet of Jesus, and thanked him. Seeing he had been healed, his vision broadened and - like that other famous foreign leper Naaman the Syrian (2 Kings 5:14-17) - he was drawn into the deeper insight we call faith. He recognized not only what had happened but why. And the why was Jesus. Leper no longer, he was still a Samaritan; but he was no longer an outsider in relation to God. And so he responded with faith and thanksgiving. Gratitude is the first fruit of faith. It’s our response to the God who - as Paul said to Timothy (2 Timothy 2:8-13) - always remains faithful. Giving thanks is what it actually means to live as a Christian. It is our awareness – made individual and personal in each one’s own experience of God’s particular kindness – an awareness that God’s power to save is greater than all the obstacles we or the world put in his way. And that is why the Eucharist (a word which literally means thanksgiving) has to be at the very center of our Christian life. Our thanksgiving finds its center in the Eucharist, because that is where we find Jesus, our one and only healer and savior. Through him, with him, and in him, we give thanks to God the Father for all that he has been for us and done for us. But true gratitude cannot be confined to one hour each week or one event in a year – any more than the Samaritan’s gratitude could authentically end in one single emotional scene. My whole life must become one extended Eucharist, one prolonged prayer of thanksgiving, giving thanks for what God is doing right now for me and with me and within me. After he had been healed, Naaman, that earlier foreigner, also found faith, and he too returned to give thanks. Not only had he been healed, his whole life had been changed. So he took some of Israel home with him, so that, wherever he went in the world, he would be able to worship the Lord on the Lord’s own land. What will we taken home from here? We are here today, as every Sunday, to celebrate the thanksgiving that stands as the very center of our lives as the Lord’s grateful people. So how will we continue to give thanks – to be truly thankful people - today, tomorrow, and every day? Homily for the 29th Sunday in Ordinary Time, Immaculate Conception Church, Knoxville, TN, October 9, 2016. Are We Ready for the VP Debate?